My skin has changed quite a lot recently - and I've also got into the habit of wearing a 'full face' of makeup most of the time. I went through a stage where my skin was so awful that I was too scared to put makeup on incase it made it worse. Luckily, as I've got older my skin has managed to sort itself out and I am able to enjoy makeup again. I am also going to be doing a YouTube video on how I cleared up my skin so keep an eye out for that! My channel can be found here. I've been using products that had been hidden within my makeup drawers for a year or so (don't worry, my makeup is mostly still in date haha.) I had bought this foundation after the Rimmel London Match Perfection foundation which was amazing. I wanted something with a bit more coverage, and after asking around my friends, I decided to try this one. I have dry skin and this works well. I feel like this foundation is quite dewy, and makes my skin look moisturised. I don't need to put moisturiser on before I apply too which is nice. This foundation does last pretty much all day. It only really comes off if I accidentally wipe my face on my sleeve or something. I'd be lying if I said my foundation was still in perfect condition by the end of the day, but i'm happy with how long it lasts. I have quite red skin. 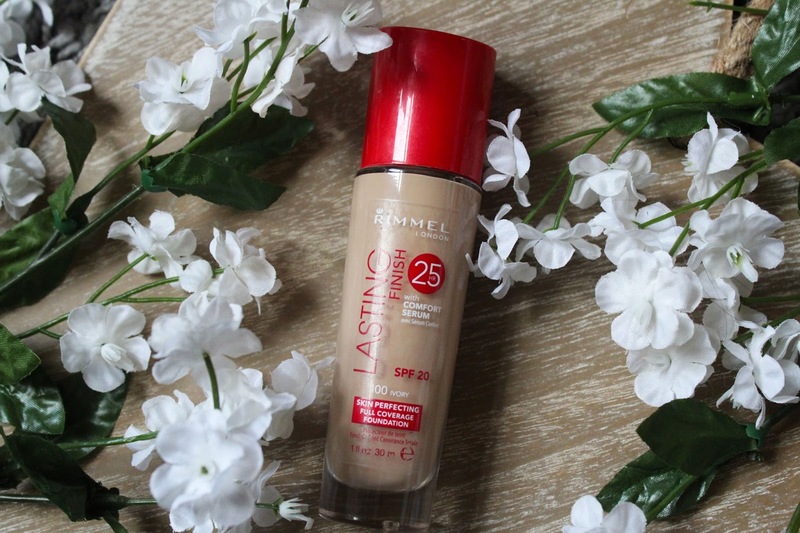 This foundation makes sure none of that redness comes through - all day! It just makes my skintone look a lot more even. It also does a good job of covering my dark circles under my eyes which is always a bonus. Sometimes I don't even need to conceal under my eyes because the foundation does a good enough job on its own. Last but certainly not least - I love the price. As a student, I can't really afford to spend £30 on a foundation. This Foundation is super cheap. It's only £7.99 from superdrug and you can buy it here. Mine has also lasted a long time. I use roughly 3 pumps on my face per use which gives me good coverage. I really have to use the right kind of tools to apply this foundation. If I use certain brushes then it doesn't go on too well. This could just be down to my skin type, but it's something worth mentioning. When my skin was a lot drier than it is now, I didn't get on well with this foundation as much. It didn't sit on my skin nicely. Everyone's skin is different. If you have super dry skin this may work for you! It just didn't for me at that time. What foundation do you use? Let me know in the comments below!